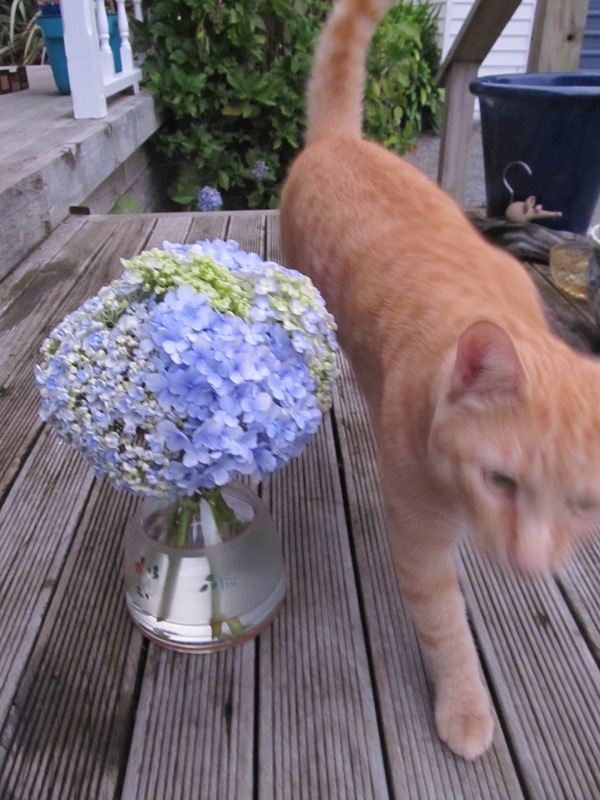 This evening, before the storm hits, I decided to grab the few hydrangeas remaining that would grace a vase. The vase was a recent brocante acquisition, for less than the price of a cup of coffee. The gingers joined me. 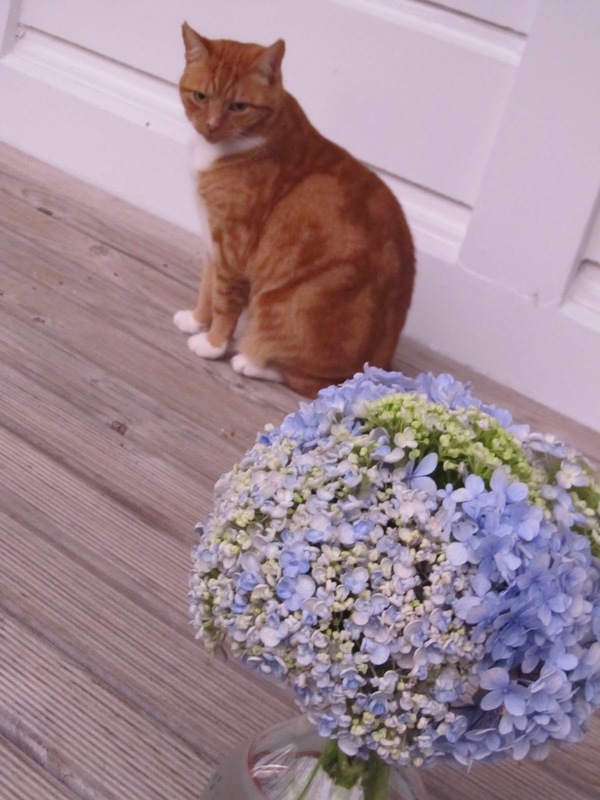 Mango wasn't impressed by the vase, Cumin spent some time sniffing before backing off and taking some perspective from a more distant part of the verandah. The boy didn't really notice, the girl lingered. Interesting how the animal kingdom so often mirrors our own!